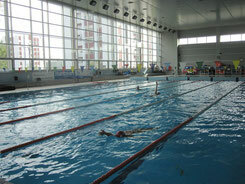 Loures is a municipality in the central Portuguese Grande Lisbon Subregion. It is situated to the north of Lisbon. It was created on 26 July 1886 by a royal decree. Loures has an area of 168 square kilometres and a total population of about 200.000 inhabitants, in which about 8% (16.700) are residents from abroad. The INE (National Statistical Institute) data, referring to the 2011 national census, still indicate that are living in Loures 6.224 citizens with dual nationality (plurinationality), which represents about 3%. 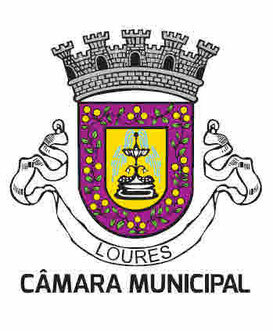 The municipality of Loures is administered by a city council composed of 11 councillors. There is a Municipal Assembly that is the legislative body of the municipality consisting of 43 members (including 33 directly elected). The position of Mayor is currently occupied by Bernardino José Torrão Soares elected in the municipal elections of 2013 in the CDU (coalition from PCP+PEV+ID) lists with relative majority of councillors in the chamber (5). “Inclusion in daily social life! Through partnerships and cooperation plans established with the Ministry of Education, secondary schools and vocational schools, the Municipality has supported the training of young students with special educational needs, promoting stages in their services. Integration issues in its various aspects, including the integration of people with disabilities, have been a priority for the municipality of Loures. In this sense, sports has enabled people with disability a smooth integration in society and in life. The approach that Gesloures has made over the years is to prepare for life children and young people that through their physical and mental characteristics have greater difficulty in making this integration. In addition to this integration, Gesloures has prepared a considerable number of swimmers who have been present in the Paralympics Games since 1996. Gesloures, has already two qualified athletes to the games this year in Rio de Janeiro. In the municipality of Loures, there are 21 schools with structured teaching units. These units are a valuable resource for schools, trying to provide a better learning environment for students with special educational needs. This response aims to increase the level of autonomy and participation in school, among their colleagues. The units are made up of specialized teachers in special education and auxiliary room. Typically, these units work in a classroom, at school.The work in these units is quite diverse and can be directed more towards one educational or vocational route, always sharing a common goal: the inclusion of disabled person in society. 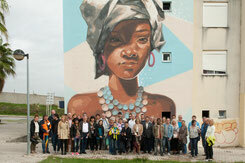 The Municipality of Loures created this school year, a project of social inclusion through the arts - The MusicArte. This music therapy project is present in 21 elementary schools and all kindergartens of the county, benefiting about 150 children with special educational needs. Music therapy is basically a therapeutic way in the use of music and its effects. These activities develop the cognitive, psychomotor and social field of children, their senses: sight, hearing and speech, facilitate muscle control, balance and coordination and the ability to relate to and get along with others. Every two weeks, a group of monitors from the Conservatório D'Artes de Loures go to schools to try to stimulate sensory through music, a group of children with cognitive and motor disorders such as autism, cerebral palsy or Down syndrome. Since the beginning of the project, it is already visible a change in the children’s behavior and how they react to outside stimuli, most children react more easily and spontaneity. The participation in the project In- town was rewarding for the exchange of experiences between different countries and the fellowship of the host, respect and integration of people with different capabilities. Specifically in Sweden the opening of society for this integration was observable, either in organized events, either in spaces open to all, and especially in workshops where they could "communicate" through art. Although there is still a lot to do as regards to integration into society, this project allowed me to see that some of the good practices already take place in Portugal, we are following the right way. Unfortunately, and despite the phrase "for an inclusive Europe" being widely used, the mentality of many citizens (called normal) still considers the disabled citizens as incapable.The importance of disseminating the In-town project is to enable the disabled citizens to have experiences similar, reaching results that may come gradually to mitigate their exclusion from various social, cultural areas, this school has two units to support multiple disabilities, which aims to answer the special educational needs of students with significant limitations in terms of activity and participation, resulting from structural and functional changes of permanent nature. We believe that music therapy classes improve the inclusion of our students in their daily lives. 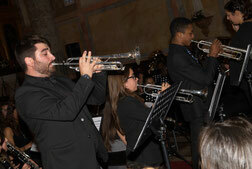 Our students participated in the concert "In-town by an inclusive Europe", and we are very proud of it. In-town project which has the objective to build a network of partnerships and synergies that favor the inclusion of disabled citizens in a multicultural Europe, allowed to known experiences, initiatives and good practices developed in several participating countries. The art in general and the various musical events made possible the creation of creative environments and integrators of differences. Children and adults, disabled individuals shared, harmoniously, their experiences and skills. • the conditions of the institutions to give answers to the needs of all, without luxuries, but with the fundamental, functional level. In overall presentation made by the different parties and countries, at the conference in Portugal, realized that some partners work with young people with disabilities in the community, providing employment and support in their integrating through sport or music and finally in work / employment. In Portugal the integration of this students is made from pre-school education, trying and doing the integration in mainstream schools. This type of situation is not common in other partner countries. In Portugal there are still many steps to be taken for the development of projects aimed at integrating young people into the labor market and in activities related to leisure, sport and music, with the involvement and commitment of municipalities in such programs. The In-Town Project contributes to improve the living conditions of persons with disabilities by sharing best practices with other European partners. The sharing of diversity strategies and methodologies contributes to the enrichment of the practices implemented by partners as well as the opening of paths leading to effective inclusion of this group in the European community. It is a motivating project, challenging, that contributes to a society guided by equity and social justice. In Laxa (Sweden), we found a strong concern for social inclusion of people with disabilities by including in the school environment basic routines essential and conducive to autonomy, as is the case of "small apartments", where all tasks are carried out, allowing live without depending. The existence of mechanisms and structures that enable the integration / inclusion after the end of schooling is the example of the good practices developed by Laxa community that should be implemented in Europe. This value which is given to the person with disabilities, treating her as a person, could help to take another big step in the long journey towards a full European citizenship. This program, twinned between several European cities, promotes and enables the access to social, business and cultural activities by individuals with physical and intellectual disabilities, becoming an important factor to combat isolation and social exclusion. Its main directives are promoting the development and well-being of participants, improving their quality of life and full integration of rights, the professional, recreational and cultural programming adjusted to the profile of each individual. In our visit to Germany and Hungary, we were delighted with the generosity which we were received in local communities, the integrity, accountability and, above all, the dignity that individuals with disabilities carry out their specific tasks in entities we visited. It was a trip and experience to remember forever! The example by example! It was very positive the participation of CERCIPÓVOA as an entity invited by the Municipality of Loures, to the In-Town project for an inclusive Europe. The visit to Grevesmuhlen allowed to observe intervention practices among the population with disabilities, which are not very different from what is practiced in our country. However, the differences are: smaller local communities where are the structures that receive people with disabilities and they receive more support for the development of its activity. All 5 days and contact with all participants was very positive. We visited an inclusive school in Grevesmuhlen, with good facilities and professional resources, the same kind of response that is given by the Socio-Educational Support of CERCIPÓVOA. Finally, the visit to our institution was very positive for us. We had the opportunity to show the work we do for our European partners. Improve early detection and intervention. Improve specialized support in kindergartens and in schools with a normal teaching system, with an effective inclusion in classes and perdurance as long as it may possible in them. The involvement of children with a handicap in all the school activities in a inclusion practice considering each one of their characteristics, capabilities and will. Extend the creation of Occupational Activities Centers in way to protect the necessities of the young adults with handicaps. We must aware our companies to employ adults with a handicap according to their capabilities and possibilities, allowing them to take advantage in fiscal incentives that the Portuguese legislation provides. Develop mixed therapy programs (music, sports, artistic expressions, …) specifically aimed to support these institutions. Perform formation and awareness activities with the main objective of deepening civic attitude and acceptance of difference in the communities. Support families, as caretakers, making sure that persons with a handicap have their role in the family structure. Guarantee the conditions for the persons with disabilities autonomy (housing, residence, assisted residence). The participation of Municipality of Loures in the project “In Town” was revealed as an opportunity for us to know the best practices of people´s inclusion with disabilities in the different partnership towns. From Hungary to Poland, passing through Sweden and finishing in Germany, the common denominator is the huge respect for the particularities of each person with disability, in order to find the better way to potentiate their own capabilities. As we have observed and shared in the project, sports, music and other arts are good integration tools. For that reason, we have seen different ways of working the social inclusion: at schools, associations, working places and also in the community in general. This observation allows us to learn through the best practices and have more tools to correct the problems in our communities. The In Town Project contributes for our community to be more fair and equal, as it look to every individual as a person in which its involvement is essential to the community he belongs to.